The First Hotel, recently renovated and still ideally located in the 15th Paris arrondissement by the Invalides, the Eiffel Tower and the UNESCO headquarters, now offers a new design to its guests but also the Hotelcloud app. The hotel welcomes guests in a warm atmosphere while offering high standard modern facilities and services. 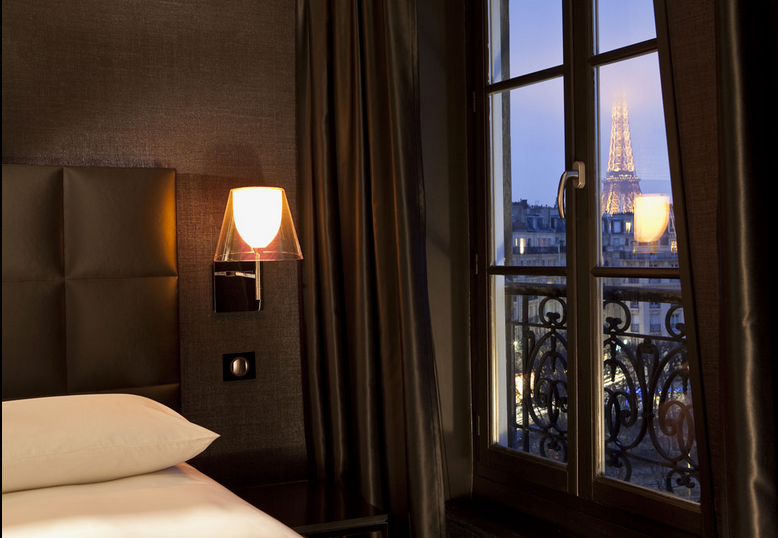 Before and during their stay, guests will have the opportunity to book services available within the hotel, whether it be the in-room services, room service, rooms with the Eiffel Tower view or transportation for their arrival. Guests will also be able to discover and book tours, family activities, and restaurants to really discover the city of Paris. Welcome to the First Hotel!